Hiring the right sales leader who can coach, mentor and take your sales team to the next level is a crucial hire, but it’s difficult to sort through all of the resumes and information to identify the right one: the modern sales leader. This leader manages with metrics, engages with content and oftentimes even becomes a thought leader in your industry. He or she works alongside the team in the trenches, coaches the team on consistency and forges a collaborative team that wins together. Finding this person isn’t easy, but not finding a modern sales leader for your team is detrimental. The old school sales leader was all about relationships and what’s closing — and that’s it. Sales were made via a Rolodex of contacts, steak dinners and stack rankings of who sold the most on an office whiteboard. CRM systems were a nuisance and managed by the finance team. The concept of being a “coach” to salespeople was totally foreign. All this leader wanted to know was what was closing, and if not enough was closing they would inject themselves into the deal to take over. The last thing sales was about was metrics and data. The modern sales leader is hungry and competitive about crushing their sales number, but they dissect every part of the sales process, manage around metrics and fuse CRM into the sales process so deeply that it’s just part of how they do their job. They have operations people at their right hand, define and monitor sales metrics and are obsessed with monitoring real-time performance against their key sales KPIs. A salesperson’s weekly one-on-one is about reviewing what’s closing this week/month/quarter, but more time is spent on the behaviors and activities that will lead to sales results and reviewing metrics so coaching can be more objective and consistent. It’s all about building a process that can be scaled. 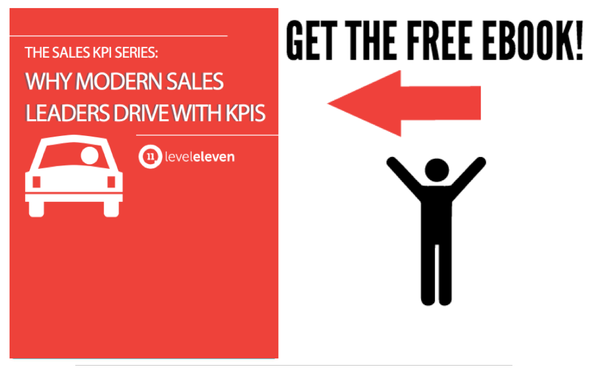 How Do You Find a Modern Sales Leader? Now that we’ve established the importance of a modern sales leader in today’s tech and metrics-driven age, how exactly do you find the right candidate? Here are four practical tips to sort through the noise while beginning your search for the right sales leader. LinkedIn will be your best friend when identifying a modern sales leader. First of all, if this individual doesn’t have a LinkedIn profile or if it’s not complete or the information listed is very vague (ex: just provides company, title, and years worked rather than descriptions, successes, and testimonials), then that’s an immediate red flag. Their number of connections is also important. If a sales leader’s profile doesn’t show the minimum of “500+ connections” then something may be wrong as it’s a sign that they’re not adapting to the times. Be on the lookout for experience at top-tier software companies, or companies that you look up to and respect. Look for signs of how long the individual held their previous positions and how they moved up in the organization. What responsibilities did they have? Do they explain how they achieved their goals and KPIs? Look at how long that individual tends to work at an organization. If his or her work history indicates they stayed in prior companies for just a few months or a year or two at a time and have skipped around, then consider how that would impact your team if the same happened. If your candidate is a modern sales leader, it’s likely he or she has made a significant impact on team members. They’ve helped to guide, coach, empower and grow sales teams and to create a collaborative environment. Unlike the old school sales leader where many members of the team may have feared their manager, the modern sales leader is well liked and transparent, oftentimes leading to a very dedicated team. This often shows up as LinkedIn Recommendations under previous work history where members of the team can comment. Look for signs such as “incredible leader, coach, helped me focus my time in the right way so I could reach my goals,” etc. Sales team member recommendations from those who worked for this leader in the past can be a great indicator. Does your candidate research his or her industry and share important information with their audience? For instance, follow them on Twitter and LinkedIn. Research any articles they’ve contributed to publications. Do they come across with authority? Do they uncover new trends, ideas and recommendations? Is their information timely and helpful? Do they follow thought leaders in the industry that are aligned with your company? It can also be helpful to look at the groups they are associated with (LinkedIn Groups are a great place to start) and see how they approach discussions. Do they come off as knowledgeable and helpful or are their comments harsh, condescending or overtly trying to sell (versus help)? The modern sales leader will be more of an advisor, and warm in their approach, coaching others on important topics the industry is facing. What are 3 words that describe your management style? What are the most important KPIs to you? How do you manage the team to meet and exceed them? How do you ensure the team collaborates and grows together? Tell me about how you coach your sales team members one-to-one. What kind of sales technologies have you used in previous organizations? What would you do differently at our organization? How do you rally your team around the most important goals and KPIs and keep them focused? What does your ideal “sales floor” look like? What metrics do you look at daily? How do you manage to meet those? Share how you work alongside the team to help coach them on a day-to-day basis. How did the candidate do in answering these questions? Did he or she demonstrate the traits you’re looking for in a modern sales leader? Were there any red flags, and if so, what were they? Be sure that you and several other trusted members of your executive team participate in the interview process to eliminate any halo effects. Compare the responses you received, and visit any concerns head on with the candidate to see how he or she responds when challenged. Finding the right sales leader for your organization may take time and lots of energy, but the end result is exponentially worth any and all effort and time put into the process. So you need to bring on a modern sales leader. What should you look for? Where should you look? And how? Read this post to find out.